While I will not become an official administrative intern until May 21st, I have begun getting various tasks to begin filling my hour requirement with. Most of them are pretty rote things, but one of the first was being tasked with investigating replacement typing programs for our elementary student population. That’s right. I currently have in my possession actual 3.5 inch floppy disks. Of course, I don’t have a drive to use them in, but still, it’s pretty great. 4 MB of free ram. Quite the benchmark. And Windows 3.1 or HIGHER! 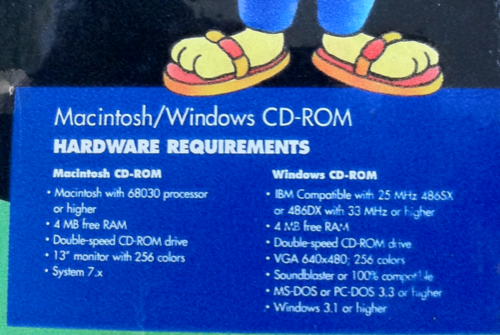 Sorry, Windows 3.0 users, you’re out of luck. 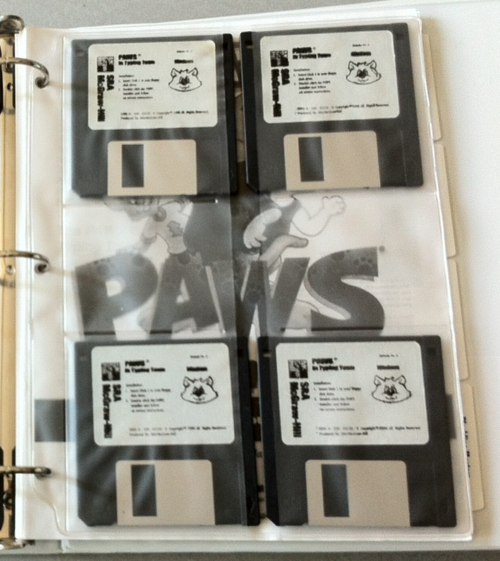 Odd that “Paws in Typing Town!” isn’t playing well with our new power management software. 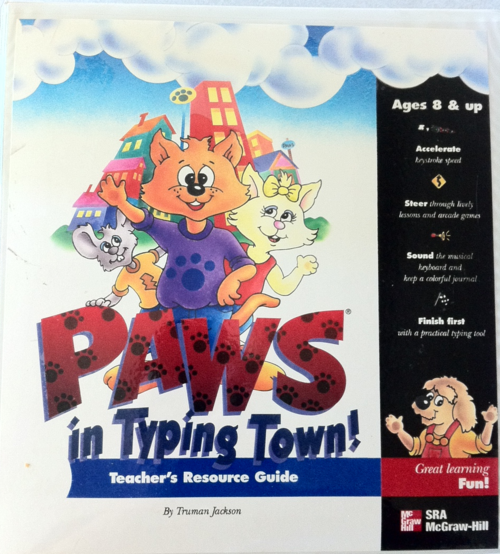 I’m not even all that clear on how we are currently running “Paws in Typing Town!” on our district computers. The High School is a land of XP and OSX. I think I’ll be able to handle this particular task without too much of a problem.